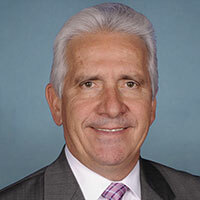 Rep. Jim Costa was sworn in as a Member of the U.S. House of Representatives representing California’s 20th Congressional District in January, 2005. Raised on a dairy farm in Fresno’s Kearney Park area, Rep. Costa is a third-generation family farmer. He has applied his farming background to his role in Congress by fighting for Valley water, agriculture, and the economy.